Did you know that you can record computer screen with VLC? No matter how many media players Windows has, VLC is one of the best. In fact, I don't think there any other player that comes close to VLC in terms of file format support, ease of use and the sheer number of options and configurations. Most of all, VLC is free and open-source. If you are using VLC for any part of the time, you might know that VLC does many other things apart from playing your local media. Those things include but not limited to converting media files, recording currently playing video, ripping DVDs and Blu-rays, online video streaming, etc. Of all the things, one of the lesser known features of VLC is its capability to record computer screen with just a few clicks. This feature is particularly helpful when you want to record a problem you are having with your computer, to capture your favorite gameplay footage, to create an instructional step-by-step guide on how to use a certain feature in Windows, etc. No matter what the reason is, knowing how to record screen with VLC can be quite helpful in the time of need. 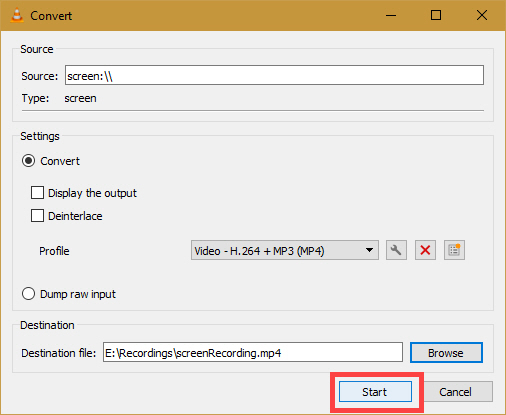 So, here's how to use VLC to record computer screen. Note: the same steps are applicable even if you are using Windows 7 and 8. 1. 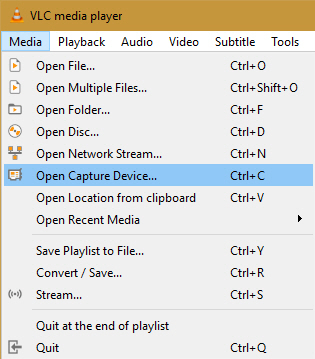 Open VLC media player by searching for it in the start menu. 2. The first thing you need to do is enable Advanced Controls. To do that, select "View > Advanced Control." You will see additional controls appear on top of the Play/Pause buttons. 3. Select "Media > Open Capture Device." 4. 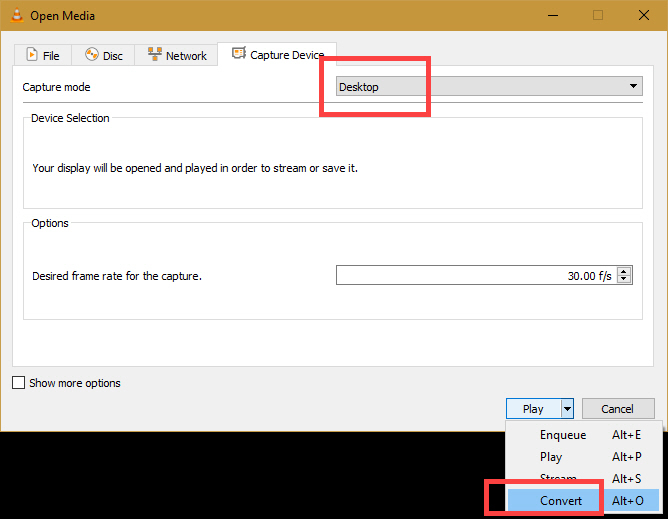 Here, select "Desktop" from the drop-down menu next to Capture Mode, enter your desired frame rate (like 24, 30, or 60 fps) and click on the "Convert" option appearing under the "Play" drop-down menu. Note: If you accidentally/willingly click on the Play button rather than the Convert button, you will have the inception moment. You can get out of it by clicking on the "Stop" button in the VLC media player. 5. 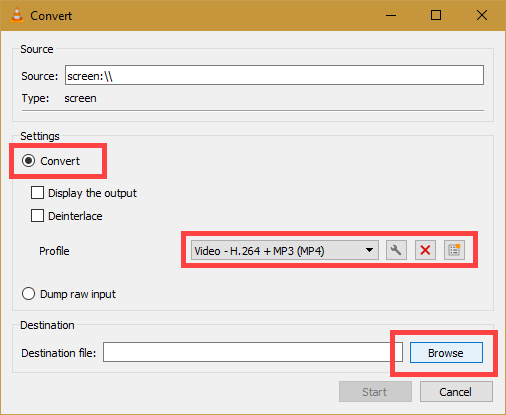 In the Convert window, select the profile as "Video - H.264 + MP3 (MP4)." Now, click on the Browse button. 6. 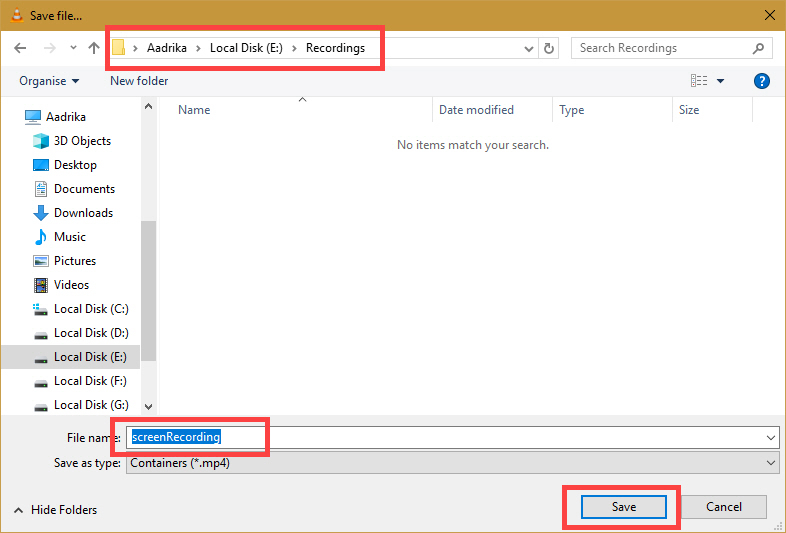 Choose a destination folder to save the recording file, name it and click on the "Save" button. 7. Now, click on the "Start" button. 8. The above action will start the recording process. 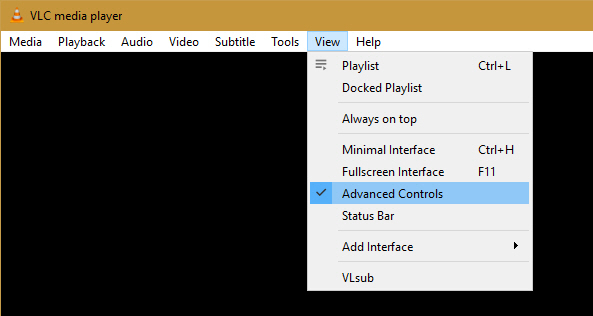 If you look at Advanced Controls in VLC, you can see the activated "Record" button. 9. Once you are done, you can store the recording process by click on the "Stop" button. 10. The file will be automatically saved to the destination that you chose earlier. That's it. It is that simple to record screen with VLC. One downside of this process is that VLC does not record sound. Though it is not perfect and is nowhere near the actual screen recording software, it sure is helpful in a pinch. Moreover, you don't have to install yet another software for a quick screen recording session. 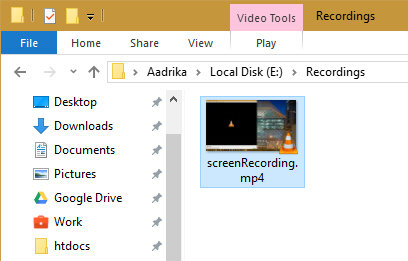 Comment below sharing your thoughts and experiences about using VLC to record computer screen.